Changing office locks is not same as changing home locks. Office owners have to maintain a protocol if they intend to change locks of their business premises. Generally business managers are allowed to take the decision of changing locks in the offices at the direction of regional managers or business owners. This protocol needs to be maintained as changing locks without prior permission from the correct authority can cause a lockout situation where employees cannot access their workplace which can lead to business losses. Furthermore, if your office premises are rented, you need to consult property manager before making the final decision to change locks. Once you have finalized and got clearance from the appropriate authority, you can plan the workflow in the office and get the locks changed. 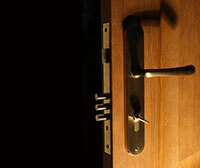 Before replacing office locks, you should find out more information about locking systems. In that event, a single key is used in order to open many doors. For instance, with the aid of this user-friendly system, a public person can open both the entrance door of his home and the locks on his office doors. Nevertheless, for security reasons, his employees own keys that can only open their specific office doors. It is more complex than the master key system. For example, each employee uses a certain key in order to open his/her own office. Nonetheless, that piece of steel can also unlock other common entrances such as the front door or the bathroom doors. It is well-known that this locking system requires a single key able to open various doors. However, there is a fine difference between a central locking system and a central master key system. Hence, an office owner can unlock all the front doors of that company and the doors to other rooms where the employees are not allowed to enter.